Do you remember Ansco cameras and films? For many decades, Ansco was second only to Kodak in the United States. Headquartered in Binghamton, New York, the company’s history stretched back to 1841. But its peak years were probably the 1950s, when it routinely manufactured two million cameras a year. Ansco manufactured simple cameras that anyone could operate, and also rebadged as Anscos more fully featured cameras from other makers around the world, including Agfa, Ricoh, and Minolta. During the 1950s, Ansco advertised its cameras and films on television. Many of its commercials were shot on film, and survive. Here’s a short spot for Ansco films with a simple jingle. Don’t those harmonies just scream 1950s? Here’s a spot for three Ansco cameras that took 127 film. Ansco manufactured the two Cadet cameras, but imported the Lancer from a German maker. I had a Lancer in my childhood collection. I never put film into it because its weak latch kept popping open, which would have spoiled the film. I hear that this was a common problem with Lancers. This spot for Anscochrome color slide film mentions its “big extra margin of sensitivity” that makes up for challenging lighting. It also mentions making prints from slides using the Printon process. You can see a Printon print here, which shows that Anscochrome was a capable film. If you have boxes full of Anscochrome slides, you’re going to want to project them. So you’ll need an Anscomatic projector! It cracks me up how formally everybody dressed in these commercials. In the 1950s, did friends really gather casually in each others’ homes wearing suits? In 1967, Ansco began to favor using the name of its parent, General Aniline and Film, or GAF. It stopped making cameras, instead selling GAF-branded cameras that other companies made. By the late 1970s, the Ansco brand name was sold to a Chinese camera maker. Readers with keen memories will remember that I originally posted this in 2015. A challenge of a blog that’s about photographically documenting what I’m up to is that a long winter tends to run the well dry. So it has gone this year! Either I missed this one the first time around or my memory is not keen. I love TV commercials from that era. I am not old enough to have an independent memory of real life in the 50’s but I don’t doubt that suits and ties were more common, especially among white collar families. There is a picture somewhere of a Midwestern family Christmas of 1961 where my father and two uncles (an industrial salesman, a teacher and a factory worker) all wore neckties. I’m kind of glad ties are no longer part of casualwear. I seem to remember some pretty good black & white printing paper. I wonder what kind of hole Ansco left as it exited the film (and paper) market. I think I mentioned it the last time you posted this, but even though I grew up in the shadows of the Ansco/GAF factories in Binghamton, ours was a Kodak family. I don’t recall a single roll of Ansco film in our house…ever. I have to wonder whether there was some great Rochester-Binghamton rivalry in New York given the two prominent firms! It was mostly GAF by the time I got into photography and they built a big building across the river in Vestal, NY. That building is still there, part of SUNY Binghamton if I recall. When I bought my first enlarger, an old Federal, I got a batch of Ansco photo paper with it. I don’t remember ever using the paper though as it was pretty old. Those old tv ads are great fun. I never had an Ansco camera as a kid, but I certainly remember the idealized world portrayed in the ads. I finally got around to using some of the simple Ansco cameras when I reached retirement age, and the little Panda box camera dating back to 1947 has made a lot of pictures for me. Your Panda has made some lovely images for you over the years! Even though I can date myself to the early 50s, I never heard of Ansco until I got into vintage film cameras in my old age. We used Kodak film – I remember how surprised I was to hear about Fuji film. The same with Agfa-Gavaert and on and on – film made elsewhere couldn’t be as good as Kodak! The little cameras from Ansco, too, are eye-openers – ours were all Kodak cameras as well! This was an absolutely great post. 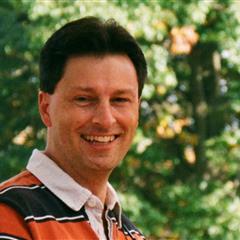 I love the advertisements – so typical – and your commentary. More to come I hope! I’m so happy you enjoyed this! I’ll see if I can come up with more like it. We were a Kodak film family too – but our family camera was this thing called a Perma-Matic. It took 126 film and had a built-in flash unit. Mom got it with green stamps I think. Ahhh! Green stamps! I remember those. I wonder if they are a more Mid-Western thing. (I hail from Illinois.) When we moved to the East Coast there were blue stamps, the name of which I cannot recall. Anscochrome slide film does not hold up well in a dark box. Check yours to see if duplicating or scanning is needed. I would have specialized in Kodachrome knowing how this turned out. 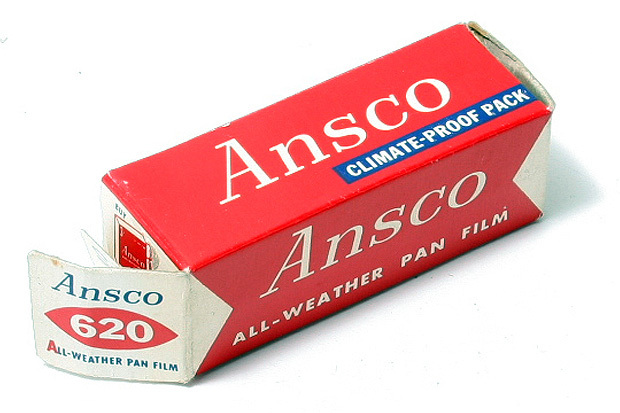 Ansco did make a higher-speed chrome film that made it attractive. The black and white film, and paper products, were good. I get the sense that in slide film, there was Kodachrome and there was everything else. My 90-year-old mother-in-law shot a lot of slides in the 1940s and 1950s. The Kodachromes look great. Everything else has faded nearly away. The name I recall. There is a 35 mm rangefinder one can find branded both by Minolta and then Ansco. Now I don’t recall Ansco film at all but am familiar with GAF film. GAF had a 64, 200, and 400 color slide film which I have shot. After development the slides always came back in a red plastic box vs. the Kodak yellow paper box. As mentioned the slides do not have the staying power that Kodachrome has by a mile. Oh yes, that Ansco was a rebadged Minolta Hi-Matic. I vaguely remember GAF film from my 1970s childhood. Anything but Kodak seemed foreign and strange to me then. I have or had a cheap GAF camera somewhere. Didn’t realise there was an Ansco connection. Your security settings are such that I can’t see the photo, but I can imagine! Sorry I sent you on a goose chase. Anyway the men all wore jackets and ties, the ladies, dresses and gasp hats! My mom remembers a time when a woman wouldn’t dream of going downtown to shop without a hat and gloves! Times do change.